With Easter around the corner, there are a stack of bunny eared hairbands in the stores, I know. Most of the ones I've seen though are lolly-like hues of pink and blue, and that eye-piercing shade of bright baby-chicken yellow, which are all, incidentally, the colours I like least. 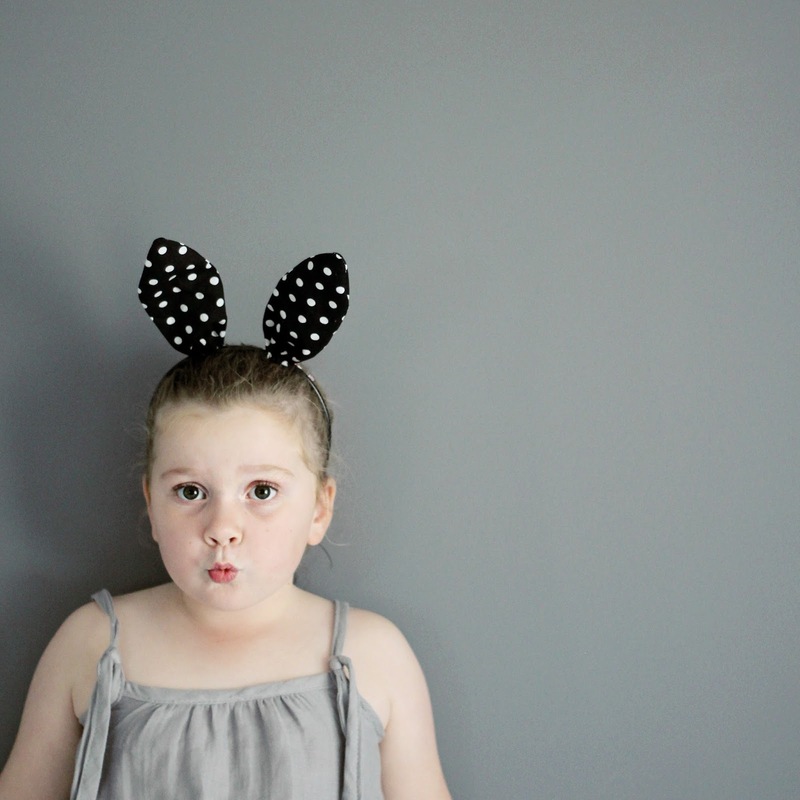 For the cost of a cheap hairband, a couple of chenille sticks, along with a favourite piece of fabric from your stash, and about ten minutes, you can easily make one that co-ordinates with your little one's favourite outfit. 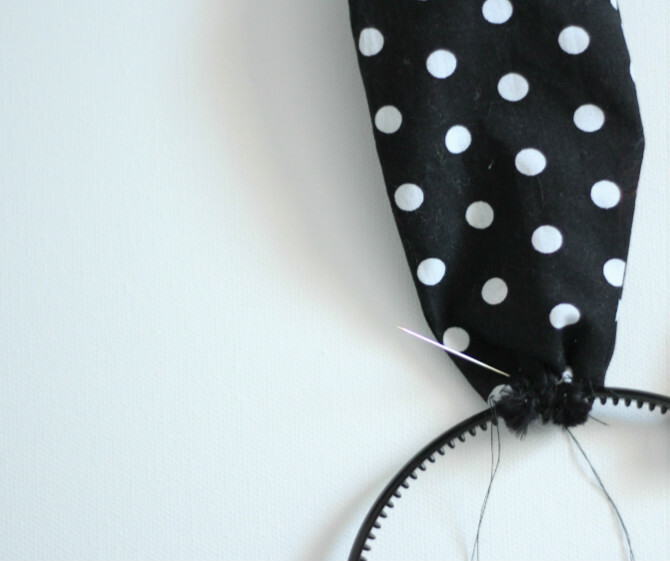 Even if you don't have a sewing machine, you can make these easily and quite quickly. I've left mine plain, but you could have fun decorating with sparkly bows or (my beloved) colourful pompoms at the base of one ear, or both. 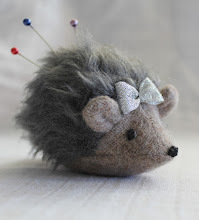 This would also be a great Easter project for older children who are learning to sew. 2 chenille sticks (mine were each 30cm long). Preferably the same colour as the hairband. A piece of fabric 20cm x 40cm (or two pieces of co-ordinating fabric 20cm x 20cm). I've used a plain cotton to make mine. 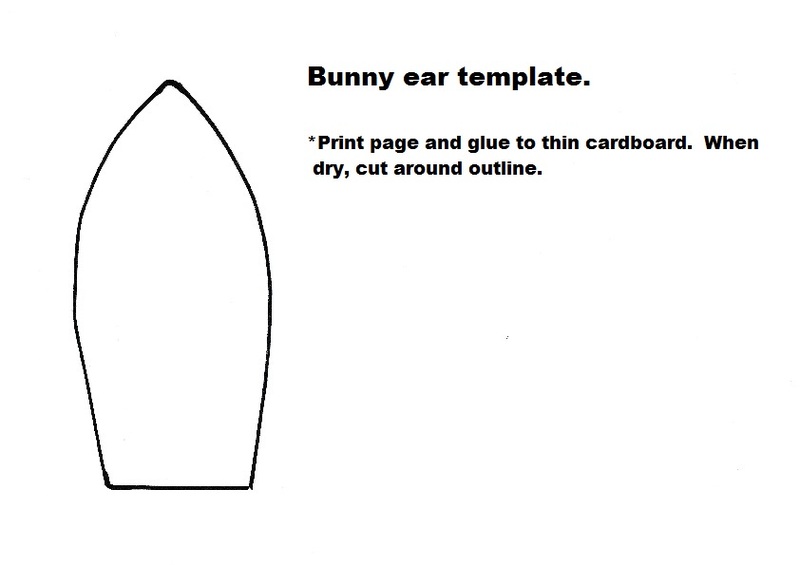 Print the template below on to a sheet of paper, then glue to thin cardboard. When dry, cut around the outline. 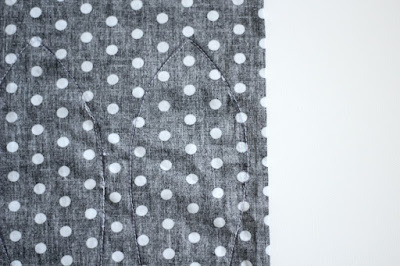 Fold your piece of fabric in half width-ways, right sides together, so that the folded fabric measures 20cm square. 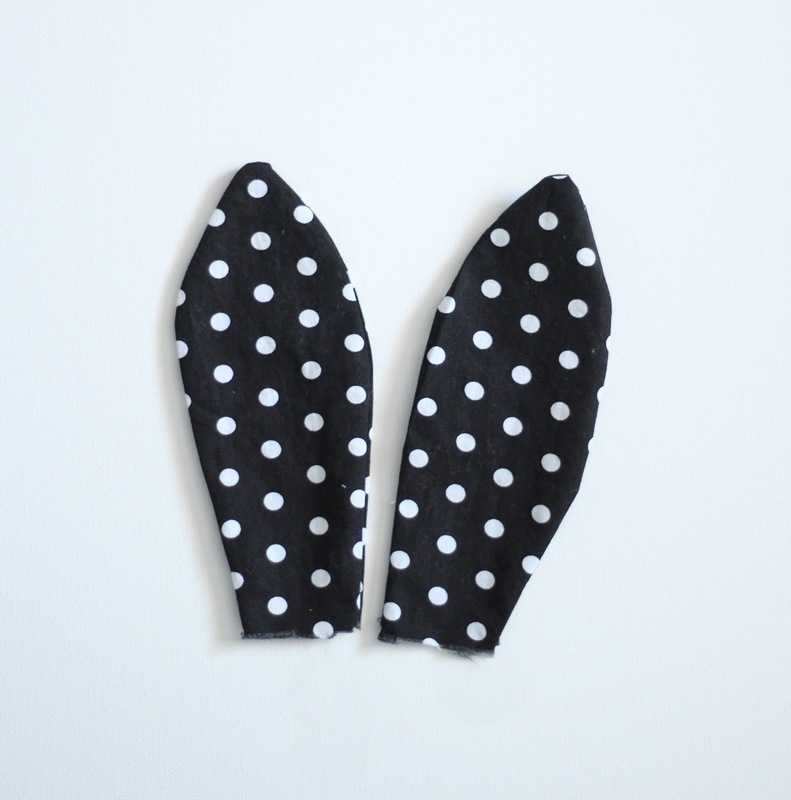 (If you are using two co-ordinating fabrics so the front and rear of the ears are different, place them right sides together). Press lightly if needed, to get out any creases. Place the ear template on the folded fabric (leaving enough room to draw a second ear) and draw around it with pencil. 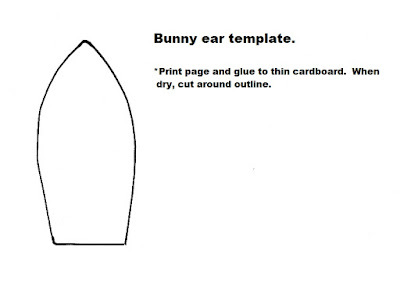 Draw a second ear in the same way. Machine or hand-sew around the two long sides of each ear, leaving the bottom open for turning. Cut around stitching. leaving about a half centimetre all around. Turn inside out, using the end of a pencil to poke out the top point. Also run it along the long sides of each ear so that the curves are nicely shaped. (Note: I found that clipping the curves along the edges and into the top was unnecessary for the fabric I was using). 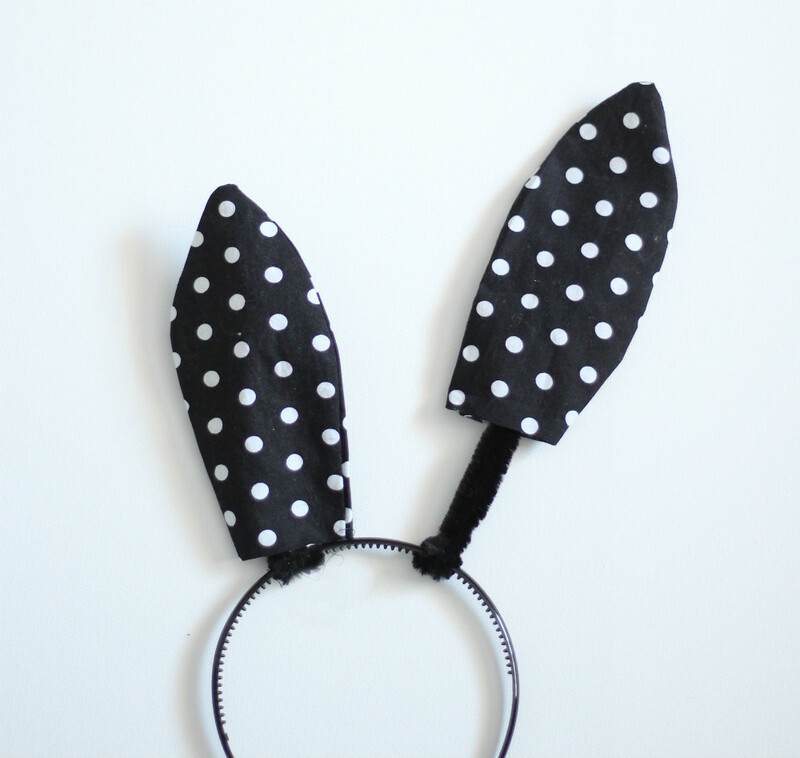 Lightly press the ears and set aside while you prepare the hairband. 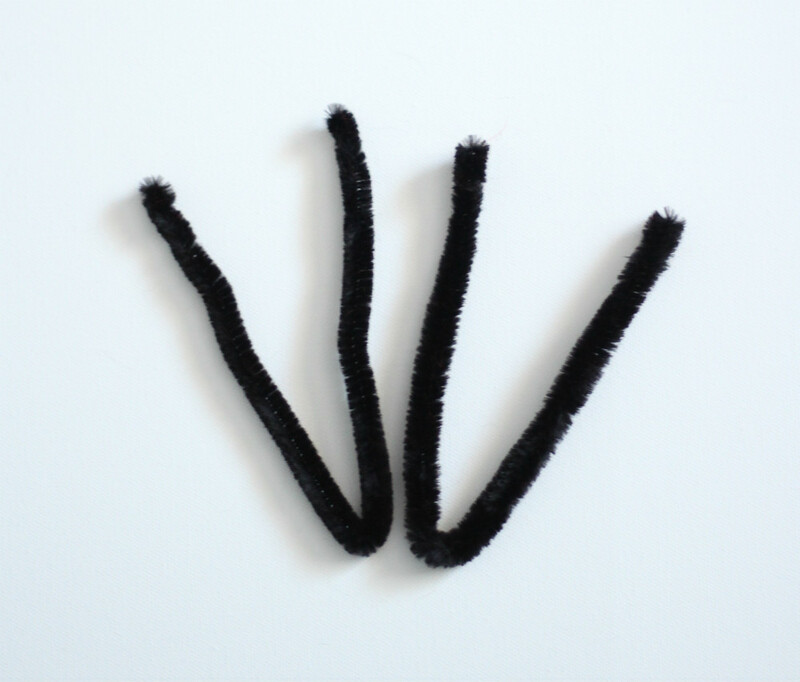 Fold each chenille stick in half as pictured. Attach the chenille sticks into the position you want the ears to sit, using the picture below as a guide (I've used a yellow chenille stick here, so it looks clearer, but will be using black chenille sticks to make my ears.) I think this knot thing I've used is called a cow hitch. 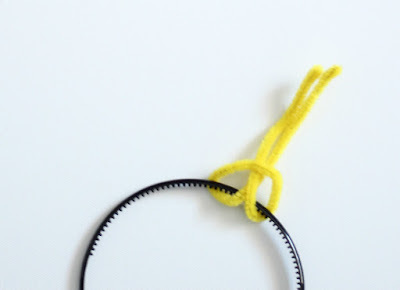 If you're using a hairband with grippers, before pulling them too tightly, make sure they are in the right position, because they can be difficult to move. Tape or twist the ends of the stick together. 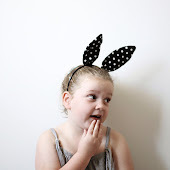 Take your fabric ears and slide them over the sticks. Turn in the bottom of each ear about a half centimetre or so, and run a gathering stitch by hand around the base of each ear. Pull up the gathers and slightly so they sit around the base of the chenille stick. 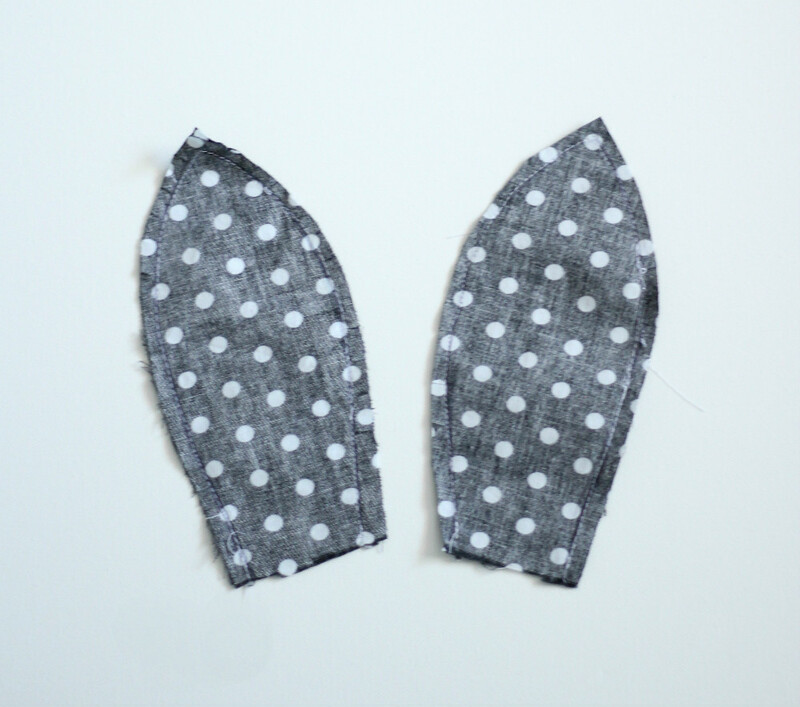 Then, without breaking your thread, secure the ears to the headband by sewing through the base of each ear and around the headband, until they are firmly in place. Repeat to secure other ear. And they're all done! 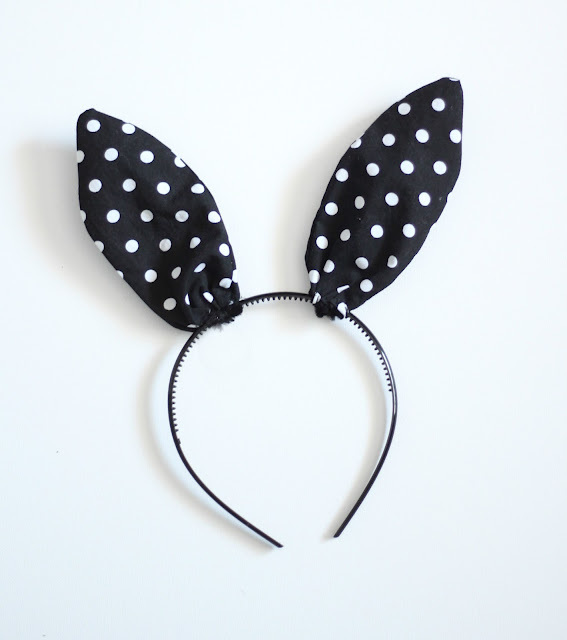 Add a decorative bow or pompom or anything else you can think of to pretty up your new ears. These are so quick and easy to make, they would make a great addition to a child's chocolate egg stash! 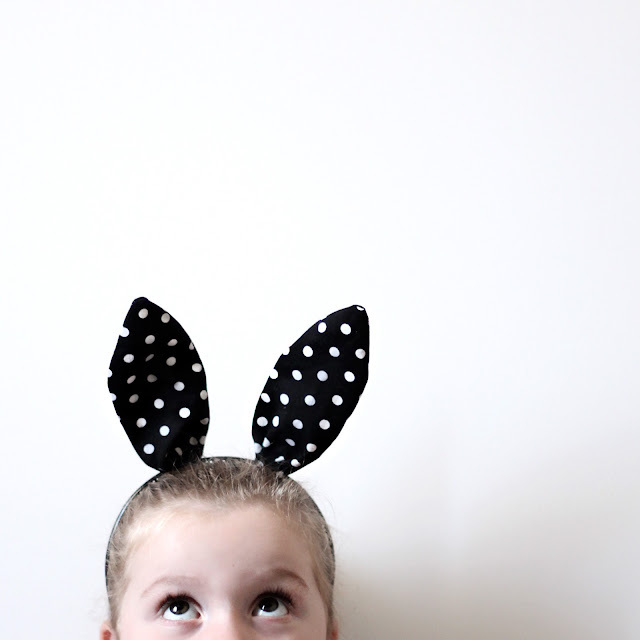 Or, make some for the whole family and take an awesome Easter family portrait. My crew sadly won't do this for me. Too embarassing, apparently. If you're family is cooler than mine, and you do this - I would love to see it! Luckily, I still have one poser.